Hello guys! I'm back and currently not in a good mood. Before you read the next paragraph, I want to tell you that I am not proud and I am not bragging about this nor seeking attention(I know some of you will think that I'm seeking attention but NO. ), in fact I am angry. I just want to pour it out my anger here. So here it goes.. If you have my fb or instagram, you might know why I'm in bad mood these days. Why? Because few weeks ago, I found out that someone has been impersonating me. A friend of mine asked me "Cath, you made another instagram account? is this your second account @cathyysiee" and I was like "what? of course no. omg". Usually fakers use fake names but this one she uses my real name and act as if thats my real second account. Such a smartass. Some of my friends really thought that its my second and they followed that account. Thank God this friend of mine told me. Otherwise, I won't even know until now, maybe. So, in order not to cause misunderstanding I updated my instagram and announced that its not my second instagram account. Once I made this instagram post, he/she/whoever deleted the account. This is only the beginning of my bad mood source. Why only the beginning? 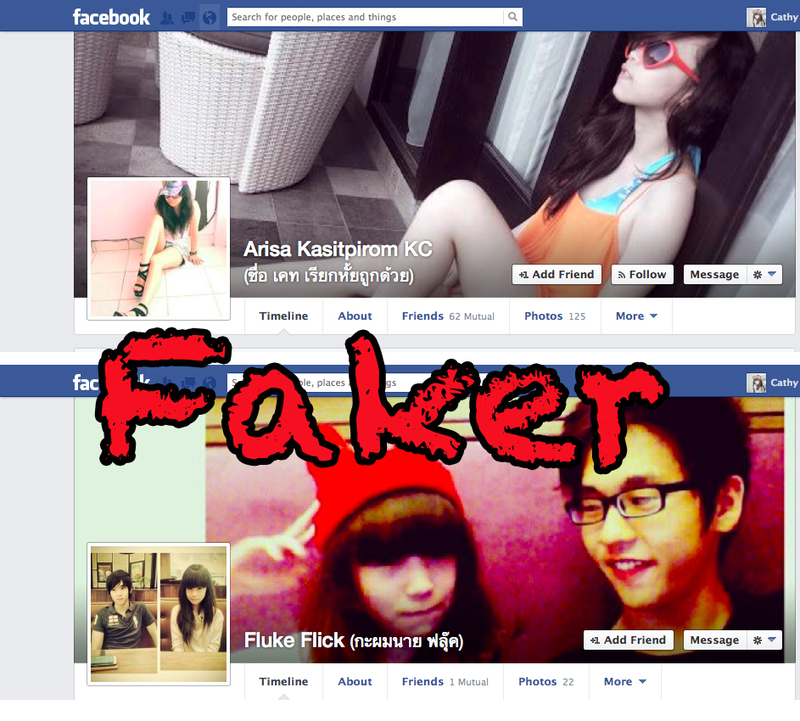 Because a few days ago, I found out about another faker, but this time its on facebook. UGH, I feel like saying "can't this month get any worse?" but then it can. So I threw those words away from my mind. At first, I was not going to report it but "Arisa Kasitpirom KC" keeps on uploading my pictures from literally everywhere, I swear. From old facebook pictures(2011-ish) until instagram pictures. 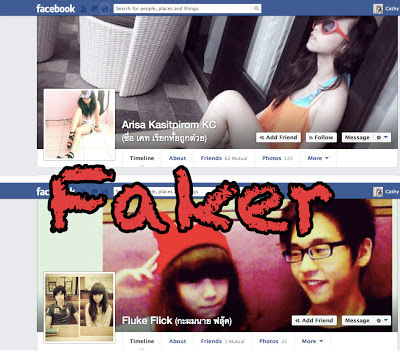 Moreover, I found out that he/she/they/whoever also made a new facebook account to fake my boyfriend. "Fluke Flick" is the facebook name. I mean, seriously? Not only me but my boyfriend too?. So this 'Fluke Flick was made for Arisa Kasitpirom to be in a relationship with on facebook. Out of all people, why me? I am not pretty nor attractive. I just can't think of any reason to why they made those fake accounts. All I know is that my faker is from Thailand since both the facebook accounts are using thailand language which I don't understand a single word of it. Well, I did report both of the account so lets see what will facebook do. Yes, the rock diva is back! its Avril baby! 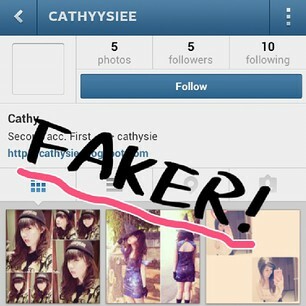 wah parah banget cath, sampe ada fake account gitu. maybe you're too beauty and makes someone jealous, obsessed with you then ended up by made fake account. tapi tetep kece kok cath, walaupun ada fake account yaa nambah popularitas deh :P hahahaa. Wah,,, ko bisa bisanya kayak gitu yah,, sabar saja deh.